Want to see all the technologies used by vitals.com? MDX Medical, Inc., doing business as Vitals, Inc., operates an online platform that enables consumers search for the doctors. The company helps people to understand their health benefits and care options; and VitalsSmartShopper, a healthcare incentives program that provides cash to patients who shop for cost-effective care. The company was incorporated in 2006 and is based in Lyndhurst, New Jersey. MDX Medical, Inc. has additional offices in New York, New York; Marlborough, Massachusetts; Tulsa, Oklahoma; and Bedford, New Hampshire. 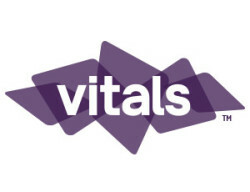 For a quick look at additional technographic info on vitals.com or any domain on the web, download our Chrome Extension. Check out our help article to see how Datanyze Insider can help you.